Cautious Clay pushes musical boundaries and captivates listeners at House of Blues San Diego‘s own Voodoo Room. When I first discovered Cautious Clay, I was instantly drawn to the unique richness in his voice. Each song I listened to seemed to get better by the minute. 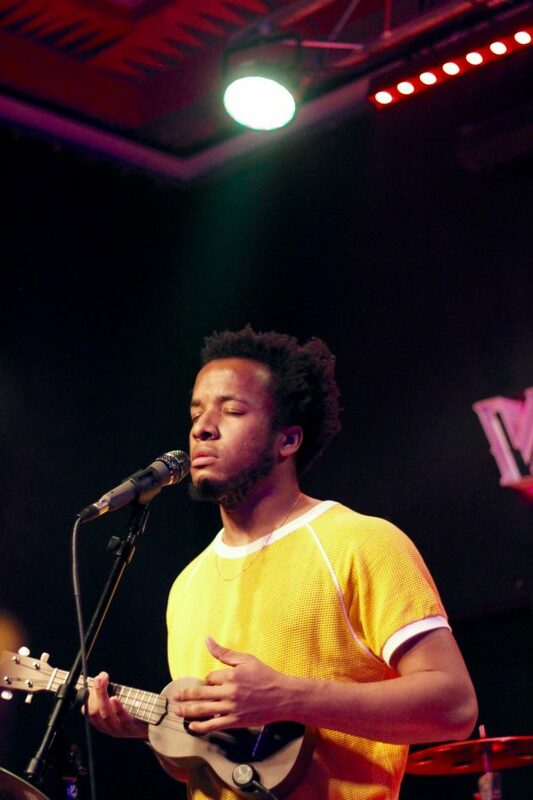 Later, I learned that Cautious Clay was no ordinary alternative R&B artist. Josh Karpeh is the man behind it all. 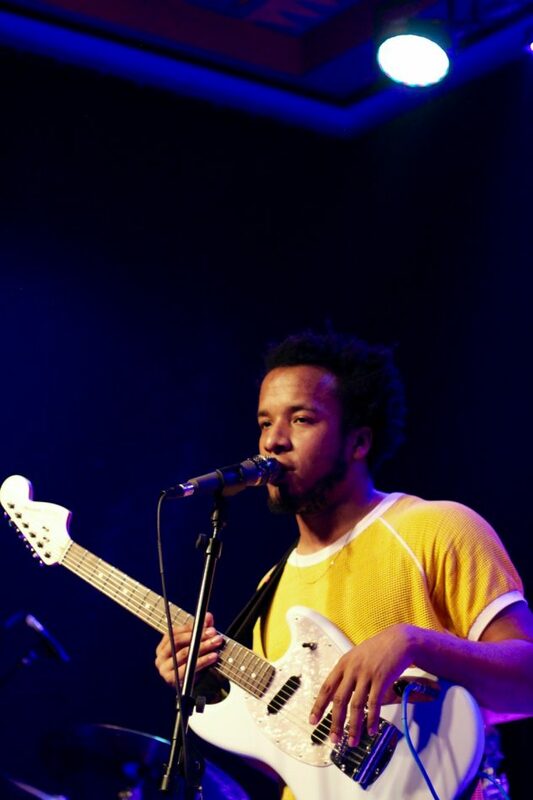 He’s a singer, producer, and multi-instrumentalist who coined the name “Cautious Clay” after Muhammad Ali, aka Cassius Clay. The all-in-one musician remains unsigned and continues to defy boundaries in the name of music. 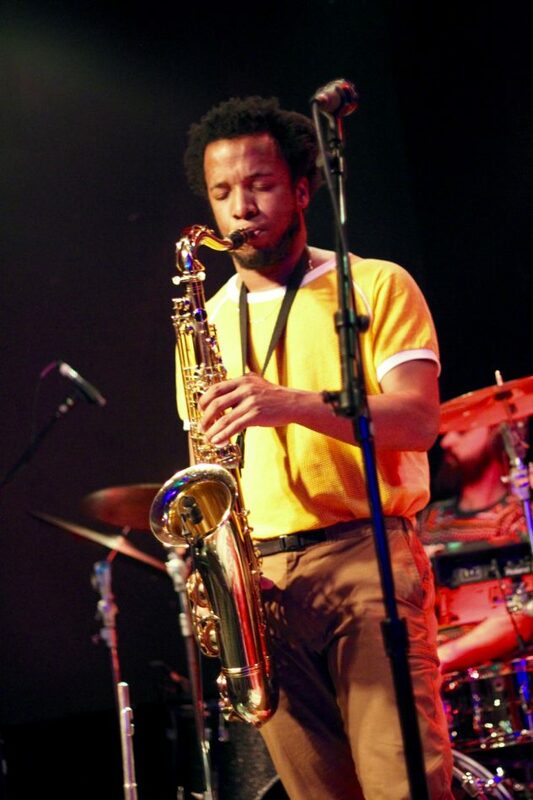 Karpeh attended George Washington University to study jazz saxophone and has continued to use his classically trained background as a tool to push boundaries. By keeping a “minimalist” mindset when writing his songs, Cautious gets to explore the line between keeping his music simple and clean, while making it powerful and touching. After months of playing his songs on repeat, I felt it was only fitting to attend his concert in San Diego. The concert was hosted in the Voodoo Room at the House of Blues, and while the venue was smaller than I had anticipated, it made the experience even more intimate. Opening with a fan favorite, “Elsewhere,” I could feel my heartrate increase with only the first few chords. Cautious expressed to Billboard magazine that this song was written about his struggles with student debt and the inability to escape tough situations, which is something that many listeners are able to relate to. I was originally drawn to this song because of the unique mixture of electronica and indie production combined with his soulful harmonies, but it is the honesty behind his lyrics that kept me hitting the repeat button. While I was personally disappointed by the energy in the crowd, Cautious Clay maintained a steady stage presence that kept me on my toes. After pulling out a saxophone and flute for songs such as “Stolen Moments” and “Call Me,” I became only more captivated by his talent. Following the performance of some of his most popular hits like “Blood Type” and “French Riviera,” Karpeh asked the audience to give a round of applause to his bandmates before they momentarily left the stage. As he pulls out his acoustic guitar, the crowd starts to settle down before Cautious performed an unreleased track off his upcoming EP. The song was slow, but far from boring. This ballad was deep and emotional, and will soon touch the hearts of listeners alike. I am eager for the release of his upcoming EP, Table of Context, as well as his return to San Diego in the future. My hopes for his next tour is that the crowd is more respectful and attentive to his stage presence because my expectations unfortunately fell short this time around. While his performance was still honest and true, I believe that an audience within his age range would be more courteous to the passion he poured out on stage. All-in-all, there are many big things in store for Cautious Clay this year. Although he’s already killing it, I’d say that he is just getting started. Nothing’s better than going to a concert at The Irenic, and enjoying some gnarly tunes from Morgxn, Weathers, and DREAMERS. DREAMERS are an American rock trio consisting of band members Nick Wold, Jacob Wick, and Marc Nelson, and they just debuted their first headlining tour in San Diego at The Irenic with the Weathers and Morgxn by their side. Morgxn, an alternative singer/songwriter from Nashville, Tennessee, kicked off the set. Morgxn ran onto stage full of energy and enthusiasm and had the crowd moving from the very moment he stepped on stage. Throughout his performance, Morgxn sang a number of songs from his debut album “Vital,” which was released this May. Some of the highlights he performed included, “Alone/Forever,” “Vital,” “Harpoon (how does it feel),” and “Bruised“. During his performance Morgxn shared some insight into some of the meanings behind his songs. At one point during his performance, he even took the time to describe our society norms of beauty, and express that since there’s no standard of what beauty should be, we’re all beautiful. While listening to Morgxn’s wide vocal range and witnessing the energy he brought with him on stage, you couldn’t help but want to jump around and dance with him. There was a time Morgxn even came off stage into the middle of the crowd and sang a song within arm’s reach of the audience. The next performers to come onto stage was Weathers. Weathers are an American rock band from Los Angeles, California. The band consists of drummer Cole Carson, bassist Brennen Bates, guitarist Cameron Olsen, and vocalist Cameron Boyer. Giving off a rock persona, the Weathers brought on stage a fun filled performance full of upbeat lively songs that made you want to rock your head back and forth to the beat. While the Weathers were on stage, you couldn’t seem to get enough of them, as they played with high energy beats and guitar solos you just had to dance along to. The group played music from their most recent album “Kids in the Night,” released in June of this year. Additionally, they played some of their other hits such as, “1983,” “I’m Not Ok,” “Poser,” “Happy Pills“. Overall, Weathers made you want to get up, dance, and enjoy the good vibes of their music. After two great performances by Morgxn and Weathers, the venue dimmed the lights and the stage became engulfed in fog. Suddenly, a huge sign in the back lit up, spelling out, “DREAMERS.” After an ominous monologue, DREAMERS finally appeared on stage. They started their set with a song called “SCREWS,” a single off their latest EP, “Fly.” You could tell that there was definitely a connection between the audience and the band with every song the DREAMERS played. The band looked very comfortable on stage and made sure that the audience was having a great time too. At one point, the audience even sang, “Happy Birthday,” to lead vocalist Nick Wold. With a wide variety of songs, DREAMERS never failed to make you feel something throughout their set. From playing a slow tempo-ed, relaxed song for all the couples in the audience, to getting the whole crowd to mosh in another song, they had something for just about everyone. Fortunately, the band went through across their whole discography, including their hilariously titled debut album, “This Album Does Not Exist.” After laying out an amazing performance, the band left the stage only to be called back by the audience chanting “Encore!” The band eventually led out the show with two more songs from their debut album before it all came to an end. Signifying a great start to the beginning of their tour, it’s crazy to imagine where all these great artists will go in their careers.